On Sunday, America’s most influential newspaper called on the federal government to repeal the ban on marijuana. This is big news, considering the usually conservative stance of the paper. The editorial board of the paper calls the federal cannabis prohibition a „laughing stock“ which is „inflicting great harm on society just to prohibit a substance far less dangerous than alcohol.“ They urge the Congress and White House to drop the ban and instead create a regulated system for the production, sale and marketing of the industry. This high level call to end prohibition comes on the heels of two states legalizing cannabis for recreational use this year alone. Both Colorado and Washington started retailing legal cannabis, with Oregon and Alaska voting on the issue this November. In addition, there are already 23 states that allow cannabis for medical uses. In the US federal law supersedes state law, which technically makes the legalizations of Colorado and Washington a grey area. So far, the federal government has chosen not to interfere with the states’ decisions, however, with a change of leadership in the White House federal law could be enforced anytime. Therefore, it is imperative to end prohibition on a federal level. The Times finds the „increasing absurdity of the federal government’s position“ is becoming more and more evident, as under current US law, cannabis is still in the same category as heroine and LSD. And yet, evidently the more dangerous drugs cocaine and methamphetamine are scheduled in class 2, a notch lower. The Times calls this an “increasing absurdity” that makes current drug laws “hard for the public to take seriously”. While not the topic of The Times’ appeal, it goes unnoticed that the precisely same illogical and unscientific discrimination is affecting LSD, which as well is wrongfully placed in the same category as heroine. There is no scientific basis to justify this categorization, however, this is a whole other topic. The Editorial Series is split up into six part, covering the various aspects of cannabis. 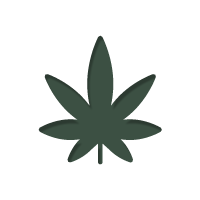 Over the next few days, more parts will be released, covering Medical Marijuana, cannabis history, and regulatory frameworks. The New York Times isn’t known as the most progressive newspaper in the US. Were this same series released in a forward-thinking outlet, it would hardly be news-worthy. However, the fact that a highly authoritative paper is taking this position shows how times have changed. We might be on the very cusp of a broad cannabis legalization. The tipping point seems to have been reached, with prohibition having gone past its due date. It is only a matter of time until congress is catching up.